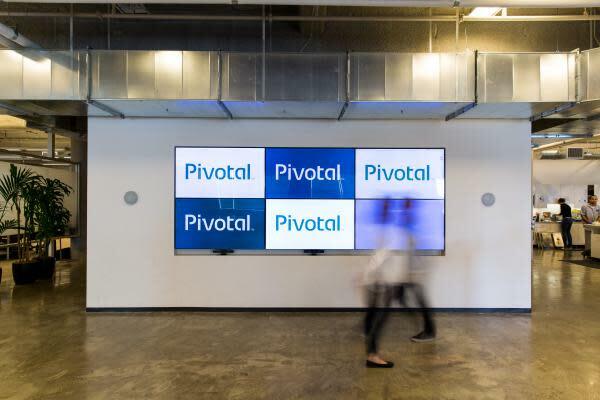 Pivotal Software Inc (NYSE: PVTL) reported Thursday after the market close with a narrower-than-expected loss for its fourth quarter, while revenue trailed expectations. The company issued downbeat guidance for the first quarter and fiscal 2020. Wedbush analyst Daniel Ives maintained an Outperform rating on Pivotal and increased the price target from $25 to $26. UBS Securities analyst Jennifer Swanson Lowe maintained a Neutral rating and $21 price target. KeyBanc Capital Markets analyst Alex Kurtz maintained an Overweight rating and $27 price target. Notwithstanding Pivotal’s mixed fourth-quarter results, all-important subscriptions grew 50 percent year-over-year and billings climbed 20 percent and exceeded expectations, Ives said in a Friday note. The negative stock reaction to the conservative first-quarter and fiscal 2020 guidance is “nearsighted,” the analyst said. Ives cited an underlying subscription story that’s humming into FY20; healthy net expansion rates; and conservative April quarter guidance as supporting his bullish view. Good news interspersed by bad news is likely to be the nature of the Pivotal story over the next 12-18 months, as it is still in the early innings of capitalizing on a massive cloud TAM, the analyst said. The 50-percent-plus, subscription growth in the fourth quarter following a sharp deceleration in the first and second quarters should allay slowdown fears, Swanson Lowe said in a Friday note. Pivotal added nine net new customers, taking the total to 377, although the net adds slowed from 14 in the third quarter, the analyst said. UBS said the healthy demand outlook and cash burn are priced in at current levels. The FY20 outlook appears healthy, with subscription guidance in the range of KeyBanc’s estimate, Kurtz said in a Thursday note. The implied billings growth suggests a deceleration from 38 percent in FY19 to 10 percent in FY20, given the likely lumpy billed portfolio and the potential for some pull-in that may have benefited the fourth quarter of FY19, the analyst said. Kurtz sees an upward bias to FY20 estimates, as he said Pivotal is in the habit of guiding conservatively — likely due to the challenges in predicting billings, with late quarter swings around duration and deal timing. “We continue to see upside to our $27 PT based on 7x EV/revenue (FY21),” the analyst said. In pre-market trading Friday, the shares are sliding 4.46 percent to $21.40.